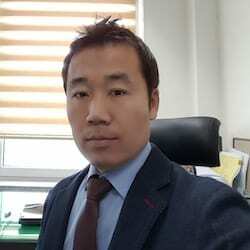 Hae-Ryong Kim is a professor of marketing at the College of International Business, Division of Business & Economics at Konkuk University, GLOCAL Campus, in Chungju, Korea. His teaching focus is service marketing, consumer behavior, and marketing communications. As a visiting scholar, Dr. Kim is researching the impact of environmental practices on consumers’ moral emotions, the effects of green practices and the role of corporate responsibility to enhance consumer / employee performance in service industries, green behavior in the hotel industry. Dr. Kim has a Ph.D in Marketing at Yonsei University.